Fernando must pay a 35,500 peso (1,950 USD) fine by Friday, June 9 or have his imprisonment extended for 550 days. 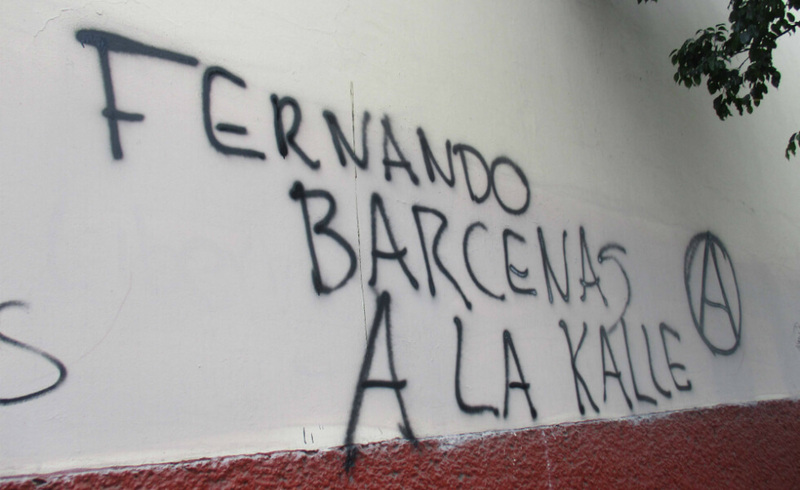 Fernando Bárcenas is an anarchist political prisoner in Mexico. Earlier this week, he learned he must pay a 35,500 peso (1,950 USD) fine imposed during his sentencing by Friday, June 9 or have his imprisonment extended for 550 days. Let’s ensure he doesn’t spend one more day locked up. Donate to the crowdfunding site! 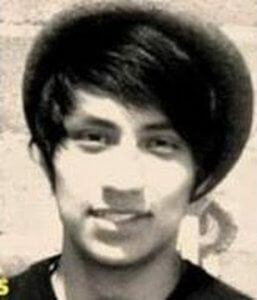 Fernando Bárcenas is a 22-year-old anarchist who has been imprisoned by the Mexican state since December 13, 2013 and is serving a six-year sentence. He was arrested at a protest against fare hikes to Mexico City’s subway system during which a Coca-Cola Christmas tree was burned. He was also fined 35,500 pesos and just learned from his lawyers that he must pay that fine by Friday, June 9 or face an additional 550 days locked inside. 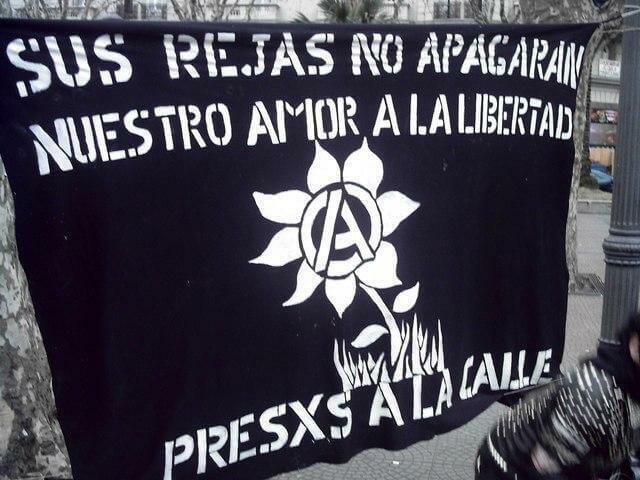 In coordination with the Anarchist Black Cross-Mexico, we are attempting to urgently raise the needed funds to ensure this comrade does not spend anymore time behind bars. Fernando has been extremely active organizing inside the prison. He started the Cimarrón Collective, a group of prisoners organizing autonomously that holds writing, painting, tattooing, yoga and health care workshops, has an anarchist library, is forming a community radio station and even has a punk band. More can be read about the collective’s work here. As Fernando says, “We as anarchists can do work in society, whatever society we find ourselves in. Right now, I’m in prison and I’m going to do work here.” As such, he has consistently fought against the conditions inside Mexican prisons, going on four separate hunger strikes – including one in solidarity with the national prisoner strike in the US in 2016. It’s Going Down has published many of Fernando’s writings in English here. Fernando has shown no hesitation to act in solidarity with others. Now it is upon us to be in solidarity with him. If you are able, please contribute what you can. If you cannot make a donation, please spread the word widely. Note: While the fine must be paid by June 9, we are running this campaign through June 17. Any additional funds will go to paying back people who have lent money so the fine may be paid on time. If funds beyond that are raised, we will approach you to either return your money or if your prefer, to send it along to support anarchist prisoners in Mexico.